This has been an excellent year for the global tourism industry. As a result, retailers worldwide saw an increase in their sales driven by tourism. This is particularly the case with Chinese tourists looking to buy luxury goods when travelling abroad. And the good news is that this positive trend should only continue through 2019 and beyond. 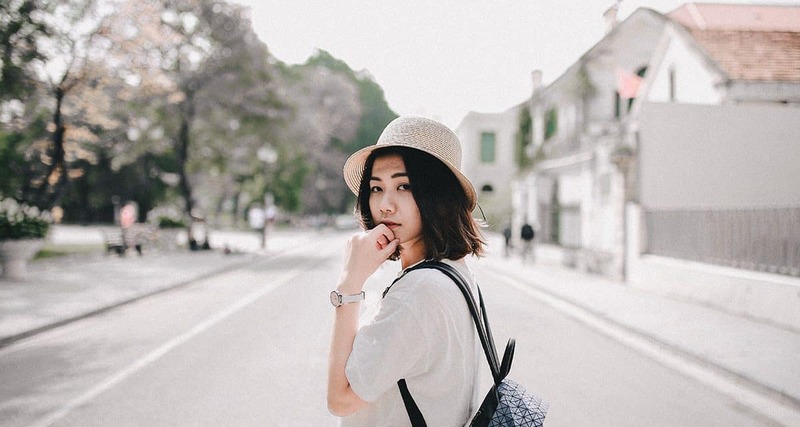 The travel industry will indeed continue to grow in 2019, supported by more spending from affluent Chinese tourists. The United Nations World Tourism Organization (UNWTO) estimates that Chinese tourists consuming abroad now represent 21% of the global tourism spending. More importantly, Chinese travellers spend on average more per person per trip than tourists from any other country in the world. The impact of Chinese tourism on the global retail industry is significant. Retailers, but also travel agents, hotels and restaurants need to adapt their approach in order to appeal to this new consumer base. Marketing to Chinese tourists is particularly important to consider for retailers who want to engage with their potential customers from China. To reach and engage Chinese consumers, a very different set of skills and techniques is required. An approach that is radically different than what most marketing managers might be used to in other countries. And because Chinese travellers represent such a large opportunity for retailers, the investment is well worth the upfront costs. In a recent report, Luxe Digital identifies four essential trends that are reshaping the international luxury Chinese tourism industry. 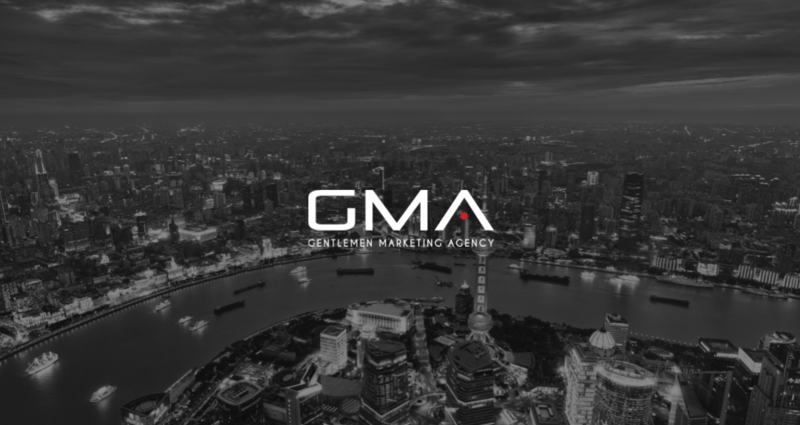 It is essential for luxury brands and marketing leaders alike to understand these new trends if they want to attract and engage their potential Chinese clients. Firstly, the profile of the typical Chinese tourist is evolving. Where Chinese travellers used to be mostly travelling with tour operators, 60% of Chinese tourists are now travelling by themselves. Those are also increasingly female and younger travellers. Secondly, Chinese tourists are very tech-savvy. Much more than their Western counterparts. Chinese travellers have, as a result, very high expectations when it comes to accessing the information that they need online. They will search on your website of course, but also on Baidu, WeChat and other social media to find recommendations from their friends and key opinion leaders and learn more about your brand. 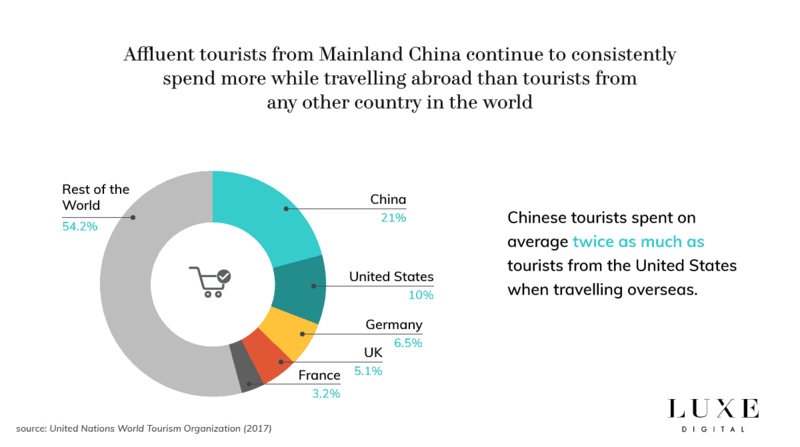 Thirdly, it’s worth noting that Chinese tourists prefer shopping as a main holiday activity above everything else while travelling. Tourists from other countries might prioritise accommodation and dining when spending their money but Chinese travellers will dedicate at least 25% of their holiday budget to shopping alone. Hotel and transportation come next. Fourthly, Chinese tourists are coming from diverse geographical locations and regions in China. New cities are emerging as large urban centres with a growing affluent population. This new affluent middle-class is eager to explore the world and shop abroad. HOW CAN RETAILERS ATTRACT THE NEW INDEPENDENT CHINESE TOURISTS? We recently published a detailed strategy to help brands understand how to market to Chinese travellers. 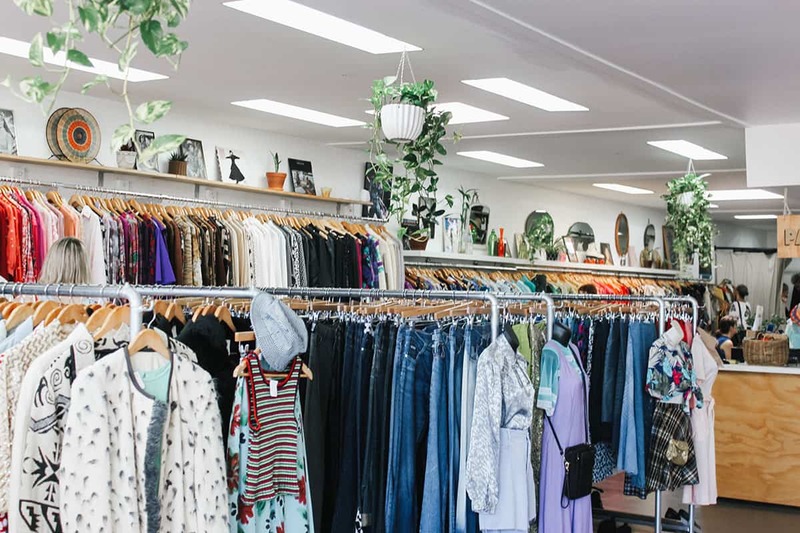 For international retailers, in particular, adopting the right approach is critical considering the growing portion of their clients coming from China. Retailers need to start by thinking holistically about their marketing strategy when targeting Chinese travellers. As mentioned above, Chinese consumers are very tech-savvy and always connected. As a result, retailers need to consider the various digital channels that their potential audience might be using to deliver a consistent and seamless experience. 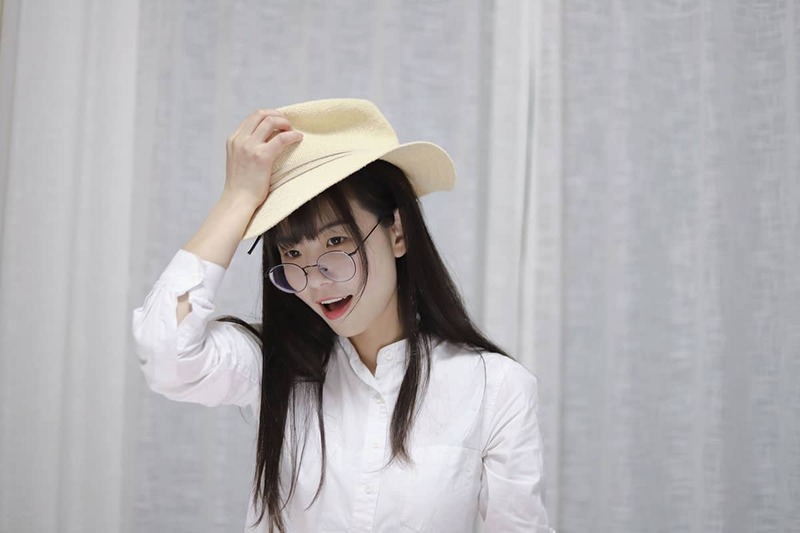 The actual social media platforms and search engines that are most used in China are very different from what international retailers might be used to. Beyond the obvious language barrier of communicating to potential clients in Mandarin, there is also the complexity to create and manage channels that retailers might be unfamiliar with. WeChat, in particular, is an essential channel to master. But it can also seem very complicated if you’ve never used it before. While it does have some similarities with other social networks such as Facebook and Instagram, WeChat is in a game of its own. The social app encompasses a much broader realm of possibilities, from communication to payments. 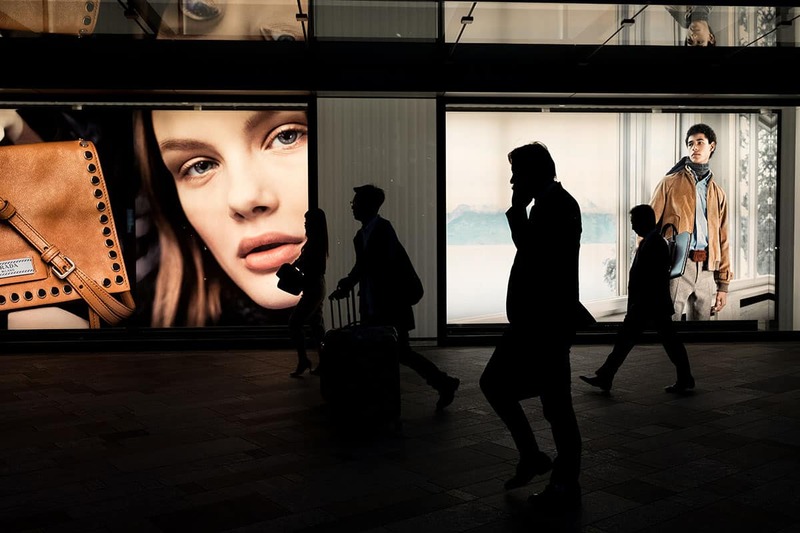 Above all, it is important for retailers to have a deep understanding of their audience in China, both in terms of communication tone, but also the actual channels of communication. Being aware of the current news and events that might be generating online buzz is also a plus to show that you know what’s important to your potential customers. Read our full report to understand in details how each tactic can help you engage with Chinese travellers. As the number of outbound tourists from China continues to grow in the coming years, successful retailers will need to adapt their strategy. They should tailor their services to capture the new affluent consumers from China. Marketers should pay close attention to both the planning and travelling phases of their consumers’ journey. Luxe Digital found indeed that affluent Chinese travellers will plan their vacations in great details before leaving China. They precisely plan the time that they can dedicate to various activities and already know ahead of their vacations which restaurants they will eat at and which luxury items they will purchase. Modern Chinese travellers are above all else attracted by an international lifestyle. Retailers need to speak to their modern aspirations if they want to capture this substantial consumer base. PreviousWhat are Gucci’s 3 Marketing Strategies in China ? NextHow to Sell your Water in China ?